Natureworks is not your typical garden center. Aside from the fact that we have been organic for 34 years, we also do things a bit differently. First of all, we LOVE bugs! From early spring till late fall, we have living creatures on display. We want you to learn about the bugs, good and bad, that share your yard with you. 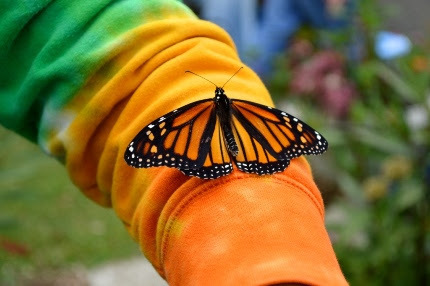 Right now we are totally, insanely consumed with raising and releasing monarch butterflies. Channel 8 was here last week. Did you see us on WTNH Cruisin Connecticut? days as tag and release days. **Since this is nature, and nature is quite unpredictable, dates and even times MAY change due to rain, cold, wind and butterflies hatching on time for these dates. **Please check our Facebook page daily or call to confirm we will be releasing. It is an amazing thing to experience! If we have many eclose (hatch) on days not listed above, we may tag more often. 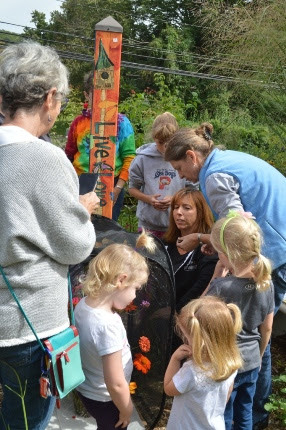 Butterflies released so far: 352 WOW! Our benches are full of perennial color. getting in FRESH plants- constantly. 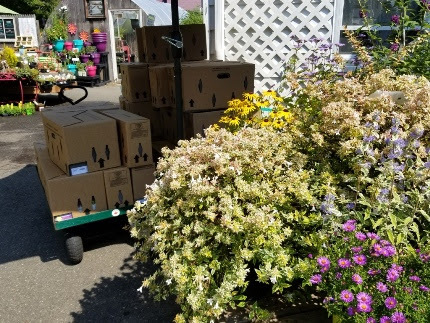 Last week we stocked up on tons of wonderful asters, a wide array of PERENNIAL mums, all colors of Echinaceas, lots of fall anemones, flowering Lespedeza, and lots more. We have a huge bench filled with different types of Asclepias plants, including common milkweed. Natives? Many just arrived including ‘Standing Ovation’ little bluestem grass, 3 varieties of mountain mint, Chrysopsis mariana, sweet goldenrod, bee balm in many colors, and did I mention ASTERS? This week is just the very beginningof the perfect time to plant. The soil is warm, we’ve just had some soaking rain, and there are many months ahead for everything that you plant to root in well. It is the second busy season for our landscape crews. We have been booking jobs for the past month and will be installing some very exciting projects until late October or beyond. I do most of my own planting at home in the fall- it’s when I have the time (forget spring, I am too busy). Same with Natureworks. Almost all of the permanent plantings in our gardens were installed in late fall. 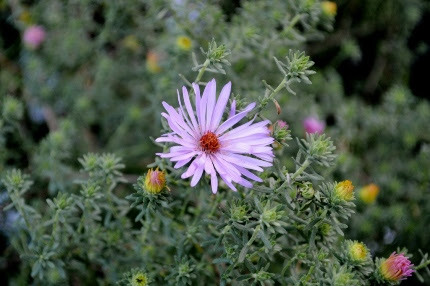 Aster ‘Tiny Toy’ is a dwarf with a beautiful, complex flower. It certainly turned my head! Another new one: Aster oblongifolius ‘Dream of Beauty’. This is a soft pink variety of aromatic aster which is deer resistant and a heavy October bloomer. all of our native pollinators. 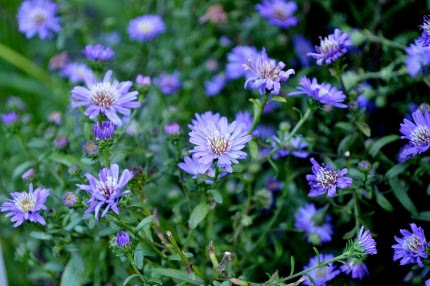 We have tall and short asters, early and late bloomers, in colors of white, pink, blue, and purple. My goal is to carry every garden-worthy aster I can get my hands on. I grow all of them in my gardens at home and they are just so easy and so satisfying. We even have Aster ericoides ‘Snow Flurry’, a fabulous native ground cover with thin, needle-like leaves and white flowers. We are growing this in our new shade garden and have been very impressed by it all summer long. Here’s a nice display of colorful plants as you walk into the nursery yard: Abelia STILL blooming and looking perfect, Caryopteris ‘White Surprise’ with variegated leaves and sky blue flowers, butterfly bushes, late blooming black eyed Susans, and, of course, asters. But what is that on the wagon? BULBS! The bulbs are here! Nothing beats the stunning surprise of ‘Waterlily’ Colchicum bulbs bursting into bloom in the fall. Plant them NOW. unpacking and setting up our bulb displays. Truckloads of bulbs have arrived on our doorstep, all hand picked by yours truly and my staff. 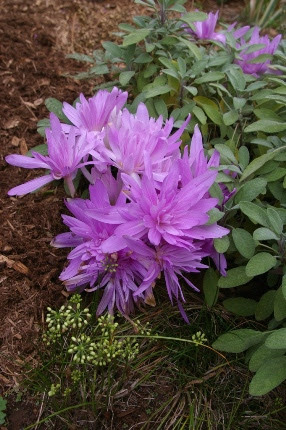 We have ‘Waterlily’ Colchicums, double blossoms that bloom in late September through October! 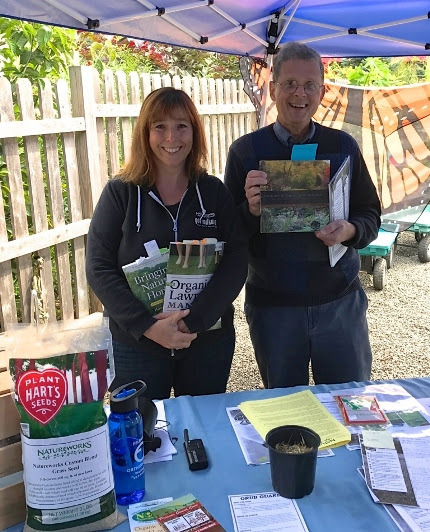 Mark your calendars, Jillian is giving a mini-workshop on how to grow them this Saturday morning., September 16th along with a second mini-workshop on growing microgreens immediately following on that day. Colchicums are a “backwards bulb”, with flowers now, leaves in the spring. Yet they are so reliable, forming big clumps and totally perennial for years to come. Another fall blooming bulb that just arrived are our saffron crocus. They bloom in early November and the stigma of the flower is truly saffron! Grow your own! run out so it wouldn’t hurt to buy some now and store it in a cool place like your garage or cellar. I grow over 150 heads of organic garlic at home and bring in 30-40 heads to sell at Natureworks. 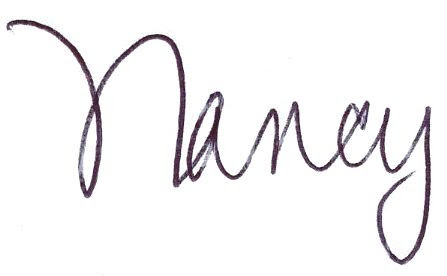 I call it “Nancy’s garlic” as the labels have gotten a bit mixed up. I have a great crop this year. 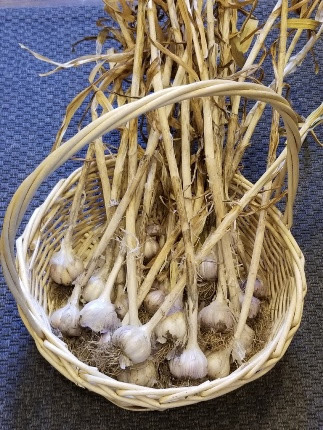 We also have one other variety (German White) with a LOT more to come in time for our How to Grow Garlic workshop in October. information on our website. Even my husband attended, as he is now in the second year of improving our front lawn and Diane is such a great teacher. He is shown with his new book about organic landcare. It’s nice to see him inspired by such a patient, knowledgeable teacher. With the full moon on Wednesday, it’s time once again to plant root crops in your edible garden. We’re talking radishes, beets, and carrot seed and we’ve got them. I spoke to a neighbor the other day who had his first veggie garden this summer. He told me it was just about done. What?!? Not mine. I have so much food still to harvest and I am still planting. On Labor Day I planted more celery and escarole seedlings. My beans planted in late July are starting to flower and my fall bearing raspberries are insanely abundant. We are still well stocked with kale, radicchio, broccoli, quite a few other types of organic fall veggie seedlings. Labor Day has come and gone and Natureworks is now open 7 days a week, including Sundays. Facebook Live this Thursday evening features Natureworker Melissa Spencer demonstrating her creative use of unusual plants in fall containers. This will get you inspired! 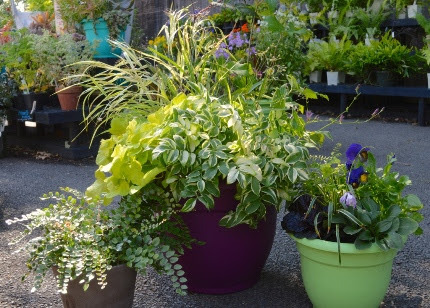 Then, Saturday morning, we are offering a FREE workshop demonstrating Container Garden Makeovers for Fall at 10 am. You don’t have to register in advance, just show up. Why not bring in your tired, bedraggled containers and pot them up here? Let us clean up the mess! Our gardens are lush, abundant, and exploding with color. 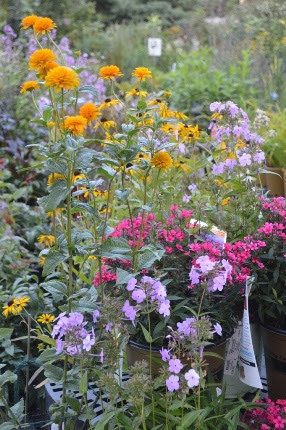 Our benches are overflowing with fresh plants, everything you need to make your yard and garden a place of beauty.